The light, or compound, microscope is a tool that every biology student is likely to encounter. Understanding the advantages of the light microscope will give insight into mastering its usefulness for the classroom or the clinic. 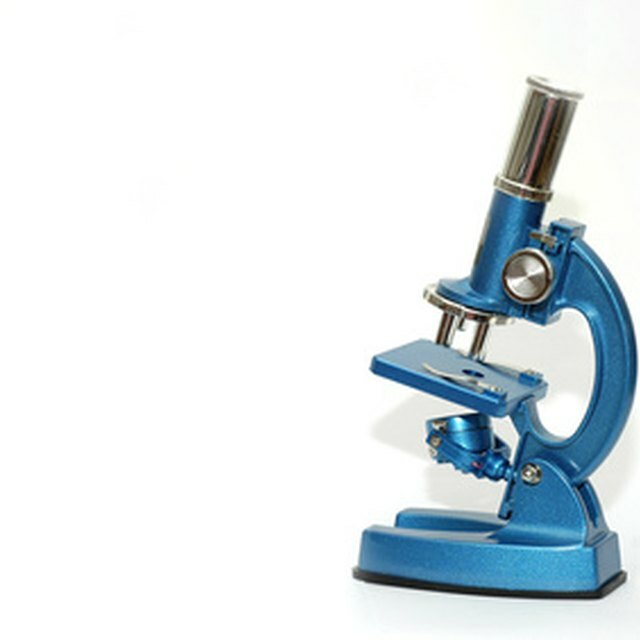 The many experimental techniques that have been perfected for use with a light microscope, its ease of use, and its relatively affordability compared to other types of microscopes make it the preferred choice for many life science applications. Because cells can’t be viewed with the unaided eye, microscopy is a key component to studying cell structure and function. A light microscope uses a light source to illuminate the specimen on a bright field. The sample is stained to make structures that are normally translucent or nearly colorless darker than the background and easier to see. Another microscopy technique is fluorescent microscopy. Instead of using a dark stain on a light background, cells are stained with fluorescent dyes and viewed on a dark background. Studying tissue with light microscopy has been practiced for more than 50 years. Light microscopy is the most accessible form of microscopy around the world and still one of the main training tools for pathologists, or physicians who diagnose diseases by examining microscopic tissue structure. Thousands of laboratories around the world have perfected dozens of experimental procedures, and many of them are made freely available. The combination of low cost and the large amount of biological information that a light microscope provides makes it an invaluable tool for research and medicine. Observing a specimen under light microscopy requires the help of colorful chemical stains. These blue, red, green, and brown stains are fixed onto the tissue with a clear chemical called permount, which hardens when exposed to air. Thus combined, these chemical stains and the tissues last for many years without fading, allowing scientists to examine the same specimen for a long time with no loss of color. Loss of visibility is a limitation of fluorescence microscopy because the fluorescent dyes fade over time. The ability of the compound microscope to easily zoom between observing the tail of a small fish at 50 times its actual size to seeing the arteries in its tail at 400 times the actual size is unmatched by other types of microscopes. Pathologists examine biopsies, or small pieces of tissue removed by a needle, under a compound microscope and often zoom in and out to make their best assessment. The compound light microscope remains the best option for this type of research. Fluorescent microscopy provides greater visual details for the viewer because fluorescent dyes can target specific structures within the cell. Fluorescent molecules in the cell sample called fluorophores absorb light at one wavelength and emit light a different wavelength. Fluorescent dyes can be used with specific proteins and antibodies to highlight structures and even single molecules within the cell. Fluorescent microscopy techniques allow multiple dyes to be used in a sample. Microscopy technology has exploded in recent decades, with some of the more advanced microscopes providing more detailed information than the classical compound (light) microscope. Fluorescent microscopes allow scientists to see two different proteins at same location in a cell using red and green markers that overlap to form a yellow color. Electron microscopes show the three-dimensional features of a cell's surface. To name one disadvantage of the light microscope, it does not possess some of the advanced capabilities of fluorescent or electron microscopy because it only uses white light. However, electron microscopes and fluorescent microscopes range in price from tens of thousands to hundreds of thousands of dollars, while a compound microscope currently can be purchased for as little as $100. H., David. "The Advantages of Studying Cells Under a Light Microscope." Sciencing, https://sciencing.com/advantages-studying-cells-under-light-microscope-9058.html. 20 November 2018.